The most influential political cartoon in the history of America, the ''JOIN, or DIE'' severed rattlesnake designed by Benjamin Franklin and published in his ''Pennsylvania Gazette'' on 9 May 1754. 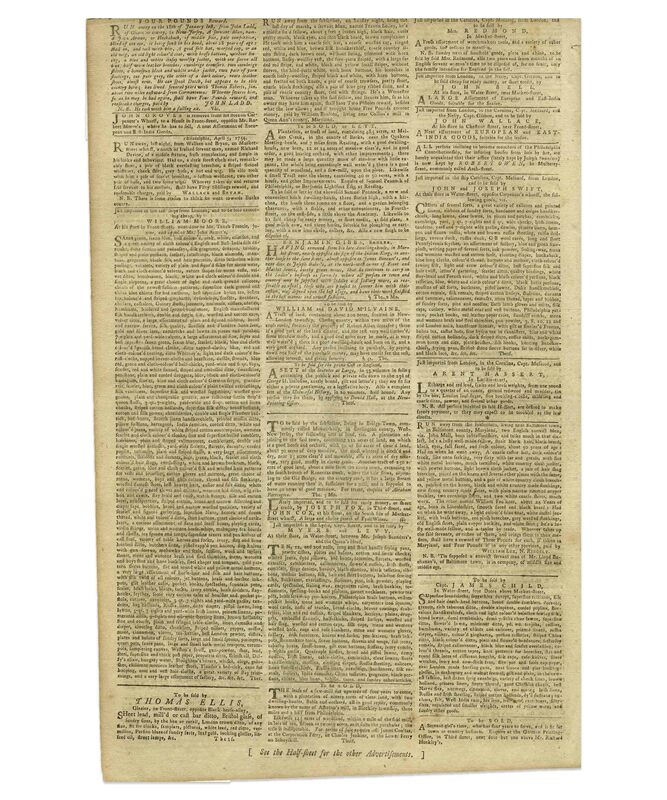 This incredibly scarce newspaper is the very first printing of the ''JOIN, or DIE'' cartoon, and the only known copy apart from one other housed in the permanent collection at the Library of Congress. 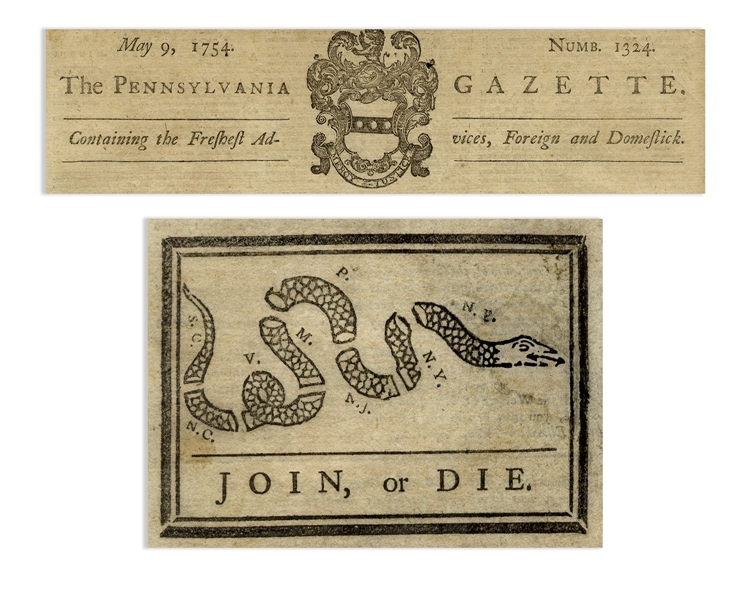 Little did Franklin know at the time that his symbol of the dis-united rattlesnake would echo over twenty years later to inspire the colonists to unite against the British - Paul Revere added the ''JOIN, or DIE'' cartoon to the nameplate of his paper, the ''Massachusetts Spy'', and even later, with the ''Don't Tread on Me'' flag, any individual or group whose personal liberty is threatened. 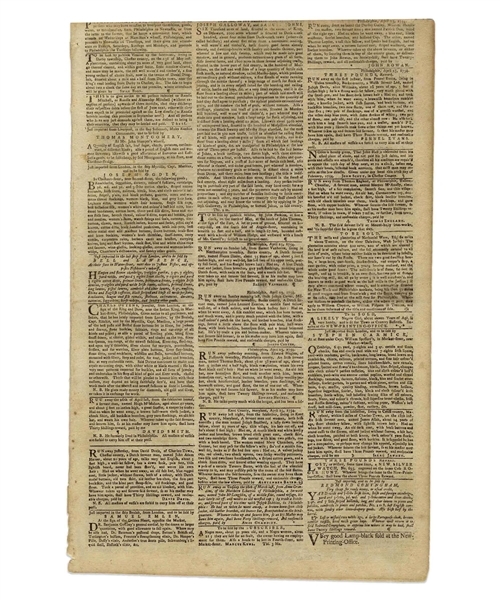 The phrasing has also proved highly enduring, likely influencing John Stark, the Revolutionary War General from New Hampshire whose toast, ''Live free or die: Death is not the worst of evils'', inspired New Hampshire's motto, and again suggests that personal liberty is one of the highest human values, and a founding tenet of the United States. 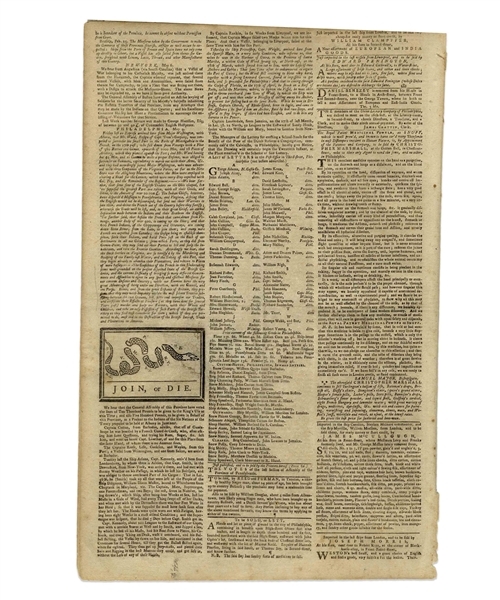 While the British loyalists played upon Franklin's symbolism of the rattlesnake, arguing that the colonists were deceptive and cunning, Franklin turned the characterization on its head, skilled and interested as he was in the art of propaganda. 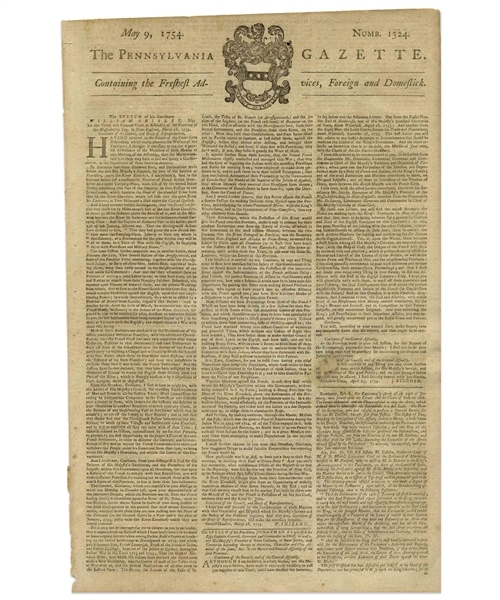 Ultimately, the symbolism would prove highly enduring and compelling: both the idea of uniting to fight a greater, more powerful enemy, and the power of a sudden, deadly attack by an underestimated opponent. Four page newspaper (without advertising) measures 9.75'' x approximately 15'', with an irregularly trimmed top edge. Expert restoration to head of snake, and light uniform toning, consistent with age. Newspaper has been well-preserved, in very good to near fine condition. 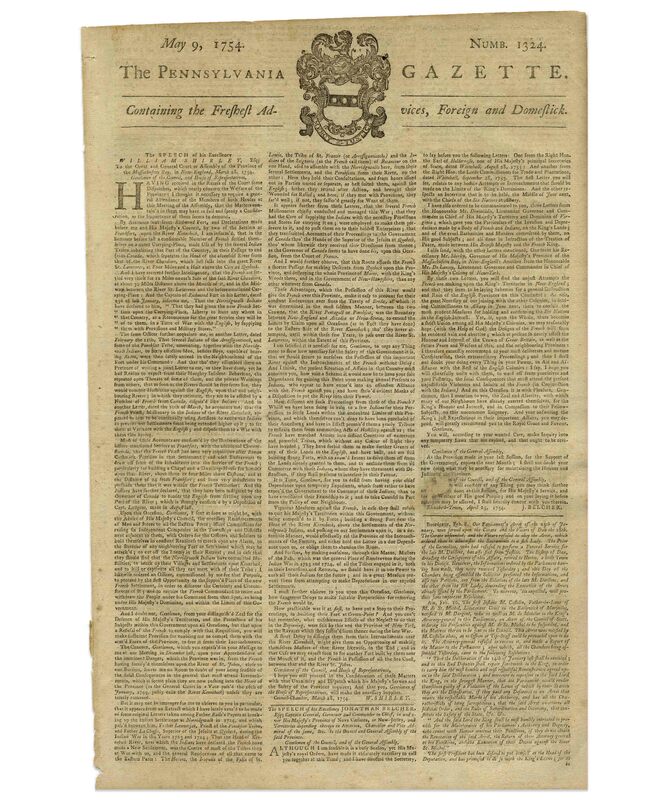 One of the most important newspapers in America's colonial history and a cornerstone of her philosophical underpinnings.